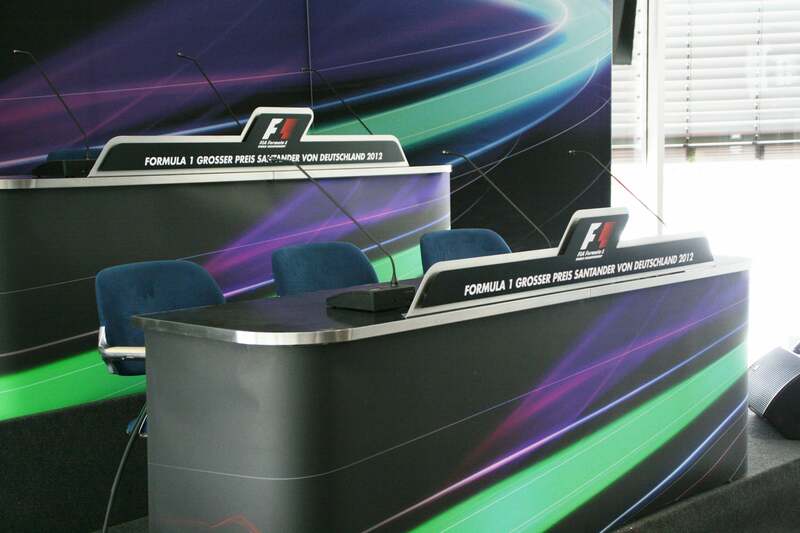 This year’s international press conferences for the Formula 1 at the Hockenheimring made use of new beyerdynamic digital wireless technology. Organisational and acoustic considerations meant that the press conferences and the press centre were separate for the first time; with a 1:1 transmission of image and sound between the conference room and the self-contained press centre. Courtesy of digital wireless technology, beyerdynamic, the audio specialist from Heilbronn, was able to deliver the corresponding solution to cater to these new conditions. New Quinta wireless conference system was in operation for the very first time. The organiser’s requirement of guaranteeing the operational security of the wireless radio link was fully met by the wireless Quinta system. Quinta has three frequency channels at its disposal to ensure secure transmission. At large events such as the Formula 1, frequency channels can quickly become overstretched but Quinta is able to switch automatically to other frequencies. This ensures continuous, uninterrupted voice transmission which is of particular importance for television and radio transmissions. 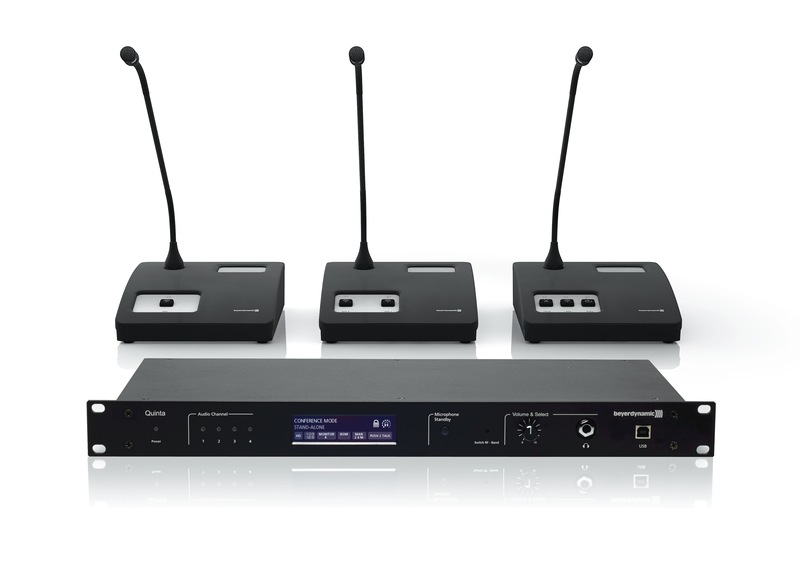 A further advantage of the wireless Quinta system is that microphone stations can be quickly set up and dismantled as required depending on individual requirements on the podium. The system was launched in spring and is available for delivery from September 2012.